If you love to sew and you're looking for easy Christmas crafts, then our collection of 32 Christmas Sewing Crafts to Decorate your Home is just the thing for you! This collection of fun Christmas crafts will have your head spinning with crafty ideas. We've included the best Christmas sewing projects for all occasions, so whether you need new Christmas stocking patterns or some cute homemade Christmas ornaments, you'll have at least one new Christmas sewing craft you'll want to work on once you're done reading this list. 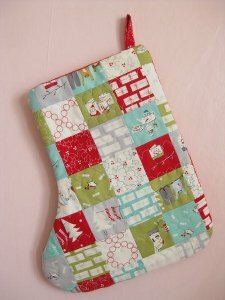 One of the most common types of Christmas sewing patterns are patterns for Christmas stockings. 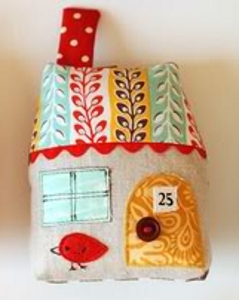 These sewing projects are Christmas traditions that you can put your own fun design twists on. Whether you're looking for a traditional stocking or a pattern with a little bit of whimsy, this comprehensive list is sure to provide you with the sewing inspiration you need. If you're looking for a Christmas sewing project that won't take you long, Christmas ornament crafts are just what you need. These projects are much smaller than your typical sewing project, and the variety of ornaments is outstanding! You can go totally rustic with some of these ornaments, or you can sew a tree decoration that has a timeless appearance. You can even make them as gifts since they're so quick and so fun. Your Christmas home decor will look truly one-of-a-kind if you use some of these Christmas sewing crafts as decorations. Homemade Christmas decorations are some of the most beautiful projects, and certainly the most meaningful. When guests ask you where your table runner or decorative garland came from, you will have a story to tell when you explain how you crafted them!